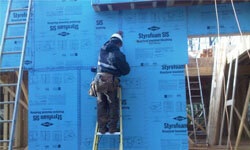 Rigid foam sheathing is becoming more popular as energy codes become more strict. This guide, published by Dow Building Solutions and written by Joe Lstiburek of the Building Science Corporation, will tell you everything you need to know about how to detail walls with rigid foam. Get Started Today By:Dow Building Solutions / Building Science Corporation | Length:30 min.